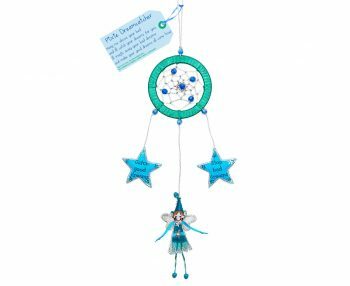 Following the success of the Fairy and Pirate dreamcatcher, this Pixie dreamcatcher is bound to be a best seller…and it works! 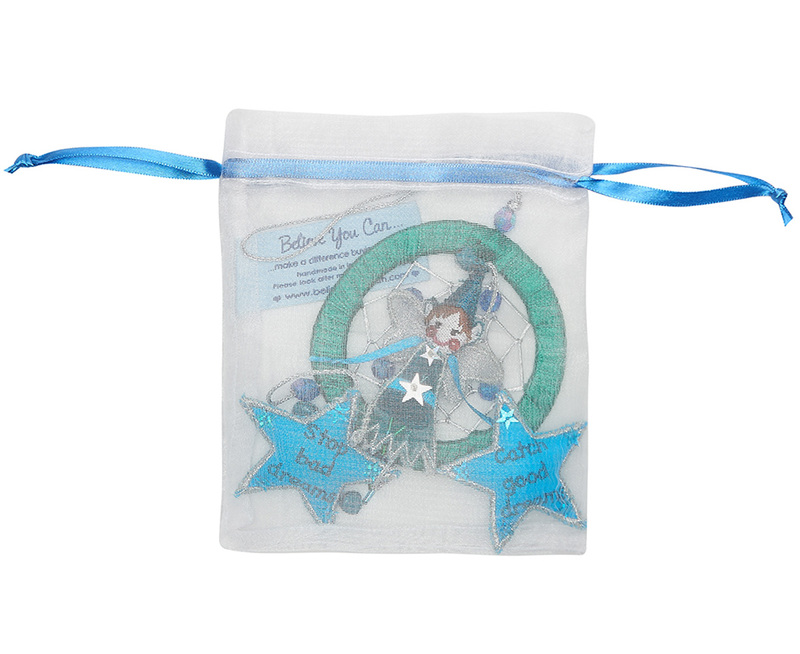 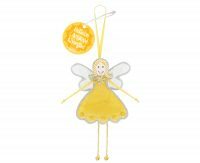 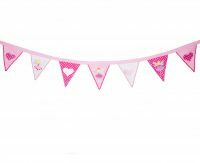 A cute and cheeky Pixie with two embroidered stars on either side which read ‘Stop bad dreams’ and ‘Catch good dreams’. 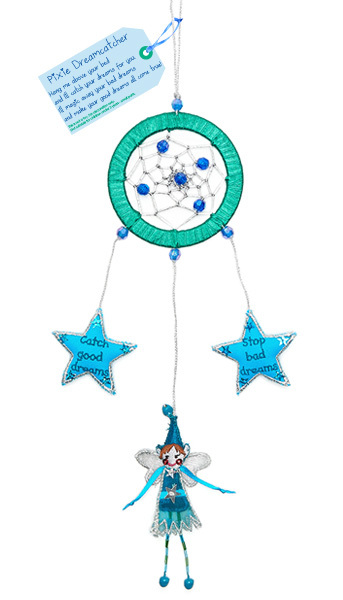 Gorgeous alternative to a feathered dream-catcher to hang above the bed and encourage a good nights sleep.